I know – oh, how I know – it would be most sensible to start at the beginning of a story and work my way through until I reach the end, but have I ever managed that? I haven’t – although, believe me, I’ve often tried. My problem is I’m a sucker for scenes, and I always want to write the big ones first. That means my first draft is essentially the whole plot, but told through the main episodes – no linking bits, no descriptions, none of the expected ‘niceties’. Of course, those elements are added in – eventually – but I tend to think of them as extras. And I’m not a ‘descriptive’ kind of writer, which is why I tend to leave descriptions until the story proper is done. It’s one of the challenges of writing that I don’t find enjoyable. One of my favourites is retrospectively adding in hints about where the plot is going. As I’m happily writing the main scenes, I also make a list of ideas to add in further down the line, and later I’ll take great pleasure inserting these passages and watching them gradually tie the scenes together. As I tick them one by one off my long list, I always have a wonderful sense of satisfaction. Julia Green, author and Professor of Writing for Young People at Bath Spa University, came to speak to Hay Writers at Work this year, and I was so pleased when she suggested that it was a good idea to think of fiction in terms of scenes – events that are happening, rather than have happened – and that each scene should move the story along. Whether you take the straight forward route when you write, or if you write randomly like I do, I hope your writing is exactly where you want it to be. Fingers crossed, we’ll all get to the end of the story we want to tell one way or another! That’s not to say I sit at my computer writing every night – that would be too disruptive for my family – no, what I mean is this: I do my best work after midnight, and I often write whole paragraphs in my head at half past three in the morning. Believe me, it’s not the most convenient way to work. I know I’m not alone in this affliction. When Frances Hardinge, the Costa Prize-winning YA adult author, came to speak to us at Writers at Work as part of Hay Festival this year, she told us she’d be totally nocturnal if only that lifestyle would fit in with society. A few of us nodded our agreement. Some of us had already had this discussion – how if we didn’t need to be mindful of our families and others keeping office hours, our days and nights could be reversed, and how much more productive we would be, how much more our natural creative selves. After the talk, Frances signed my copy of her latest novel, ‘A Skinfull of Shadows’ – to real-life me, Wendy. She asked me about being a natural nocturnal like her – she’d obviously noticed my nodding. I briefly mentioned how, as a child, I had swapped night for day for almost a whole year, and how blissful it had been. I didn’t have time to tell her the complete story: that I was absent from junior school for months with an infection after an operation to remove my tonsils, and that when I was sent off to bed at night I’d write and read until dawn and then sleep until lunchtime. It suited me brilliantly. I’d had trouble sleeping from a very young age, so I was delighted with my new routine. I was getting far more sleep than I normally did and, despite the infection, I was starting to feel better than I ever had before. But, of course, my parents were terribly worried by my new and weird sleeping habit. When my mum mentioned it to the doctor, he told her not to worry – my health was clearly improving and he predicted my sleeping pattern would too, once I was back at school. The light would go out at 9 o’clock and I’d lie awake for hours, writing stories in my head. I say ‘writing’ rather than ‘making up stories’ because that’s what I did – I wrote passages in my mind, word for word, with actual punctuation and paragraph breaks. And after a night of busily ‘writing’, I still, of course, had to get up for school in the morning. After a few months, my parents were worried by how tired I looked and I was taken back to the doctor. When I admitted what I did when I couldn’t sleep, the doctor diagnosed ‘too much imagination’. He didn’t have a cure for that. All my life I’ve written huge amounts in my head when I should be sleeping. I wrote paragraph after paragraph of ‘Not Thomas’ that way. I used to worry I’d forget it all, and sometimes I’d get up to scribble down passages in the half-light of dawn. But recently I’ve become more relaxed about the process. If it’s good enough to type up the next day, it’ll stay in my head. If not, I’ll have forgotten it by morning. It was encouraging to hear Roddy Doyle, another speaker at Hay Writers at Work, tell us he took the same approach. We nocturnal writers may be a peculiar lot, but I’m certain of one thing – nocturnal or not, as a writer you can never have too much imagination. P.S. Do you write best at night? And do you wish, like me, you could live your life nocturnally? Let me know what you think. 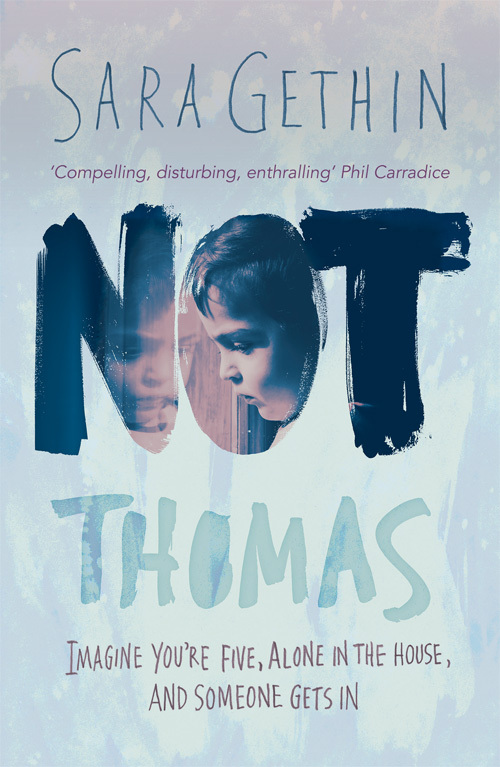 The winner of the Waverton Good Read Award for debut novels published in 2017 will be announced later this month, and I’m delighted that my own novel, ‘Not Thomas’, is on the shortlist. I’m even more delighted (if that’s possible) that also on the shortlist is one of my favourite novels of the year, ‘Eleanor Oliphant is Completely Fine’ by Gail Honeyman. It won the Costa First Novel Award, and Book of the Year at the British Book Awards, so it’s no surprise that the film rights were snapped up – and by Reese Witherspoon, no less. Also on the shortlist is ‘A Boy Made of Blocks’ by Guardian journalist Keith Stuart, which is about a couple going through a difficult time in their relationship. They have a child with autism who loves playing Minecraft. It’s a very moving read and was selected for the Richard and Judy Book Club. The other two debut titles on the list are ‘Montpelier Parade’ by Irish writer Karl Geary, a short novel set in Dublin and written in the second person, and ‘The Pinocchio Brief’ by Abi Silver, which is a riveting courtroom drama with a difference. I hadn’t read either book before they appeared on the shortlist but I have now and I really enjoyed them both. Only one novel can win, of course, and the winner will be chosen by the residents of Waverton in Cheshire on Tuesday, 26th June. But having ‘Not Thomas’ rub shoulders with such illustrious company on the shortlist is winning enough for me, no matter which title takes home the award. It’s been a week now since I returned home from Hay Writers at Work, a professional development scheme for writers from Wales funded by the Arts Council of Wales and the brainchild of Hay Festival’s own Peter Florence. I came across the call-out for applicants for the scheme in the Literature Wales’ newsletter back in March and decided to apply (under my real name, Wendy White). I was absolutely delighted when I found out a few weeks later that my application had been successful. I spent 11 days at the festival, along with 19 other writers from Wales, being nurtured, nourished and inspired by the amazing programme of workshops and masterclasses wonderful Hay Fellow, Tiffany Murray, organised for us. In future blogs I’ll be sharing some of the advice I gleaned from the authors, poets, publishers and agents who spoke to us, but today I’m sharing a link to Hay Festival’s blog page, and my own contribution to that. There are also posts on the website by some of the other writers who took part in the scheme, sharing their own viewpoints on our time at Hay. It was an amazing and extremely beneficial 11 days. I came home exhausted after the packed programme, but truly inspired to take my writing to the next level and very grateful for the whole fantastic literary experience. But best of all, I’ve expanded my network of writing friends and I know they’ll be a real support to me. I’m looking forward to supporting their new work and cheering them on in the future too. The Hay Writers at Work scheme can only go ahead with the generous help of the Arts Council of Wales but hopefully, if funding continues, places will be available for more writers from Wales to attend next year’s festival. I’d advise any writer who’s eligible (that is, who’s from Wales or lives in Wales) to keep a look out for the notice in Literature Wales’ newsletter early in 2019 and just go ahead and apply – it’s an opportunity that’s too good to miss. OK, so I know Galentine’s Day is officially Feb 13th but if, like me, you’re already fed up of hearing the word ‘Valentine’ mentioned on the radio and TV every two seconds (and it’s only 11 a.m.) may I offer you this song & video. I can’t ever resist belting out the chorus at the top of my lungs – off-key of course – and the 11-year-old dancer in the video is just amazing. It’s been a busy couple of weeks, what with one project or another on the go, book signing events to attend and generally getting my brain in gear for Christmas, and so my blog has been slightly neglected. Today, however, I have a recommended read. It’s a novel I read a few weeks ago and loved so much I nominated for the Hay Festival Book of the Year – Snow Sisters by Carol Lovekin. Some novels I zip through and others I devour slowly. Snow Sisters really is a novel to savour, with its gorgeously sensual prose delivered by a very skilful author. It’s a ‘curl up on the couch in front of a log fire’ kind of novel. If you haven’t already read either of Carol Lovekin’s wonderful novels, I urge you to – you will not be disappointed. “I absolutely adore ‘Snow Sisters’. It’s Lovekin’s second offering and is beautifully written – just like her first, ‘Ghostbird’. The novel is set in Wales in the 1970s and has an eerie, gothic feel. It’s the story of a bohemian family, consisting of three generations of women who live in the beautiful but ramshackle Gull House. The house has a chilling history, and teenagers Meredith and Verity become sensitive to this as their home-life is turned upside down by their self-absorbed mother, Allegra. I read this novel slowly as I wanted to relish the magical atmosphere Lovekin effortlessly creates with her lyrical writing. She paints vivid scenes for the reader. Colours are important – red flannel hearts for a lost child, a grandmother’s mystical blue garden and sumptuous greens for the vivacious Meredith. The author explores ideas of ghosts and family ties, and the enduring love between sisters. Snow Sisters is published by Honno Press and is available to buy from them, Amazon and bookshops in paperback priced at £8.99. Also available on Kindle.